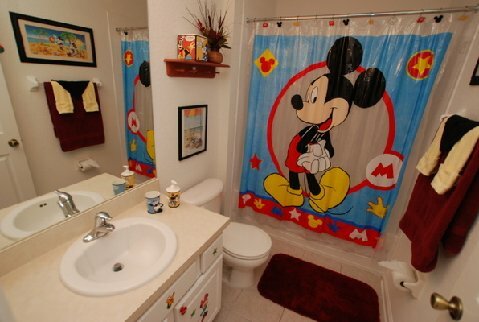 Designing a child’s bathroom is an important thing if you want to develop your child’s imagination and creativity. 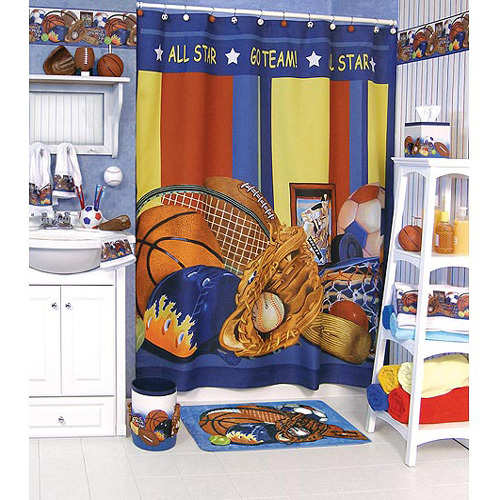 In the bathroom, children will learn about the importance of cleanliness which must be maintained. 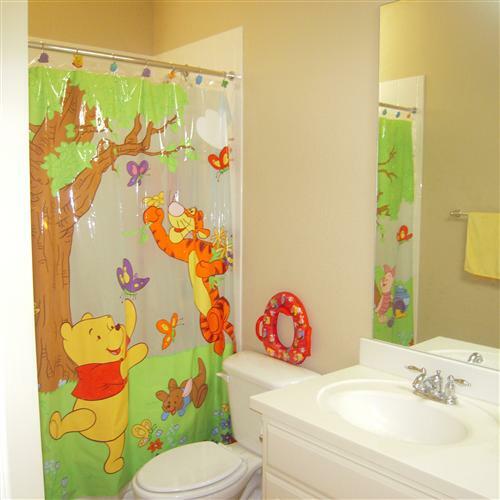 In addition, the selection of bathroom equipment can be added to the impression of a cheerful picture likes Spongebob or Barbie. Likewise with the hangers, toothbrushes,to choose the form of flowers, animals, cartoon characters, etc. To maintain the safety of your child, in the selection of furniture, Avoid choosing furniture that is easily rupture. Bathroom floor should use rough textured so that children do not fall in the bathroom because of slipping. Or it could be covered by a rubber floor. 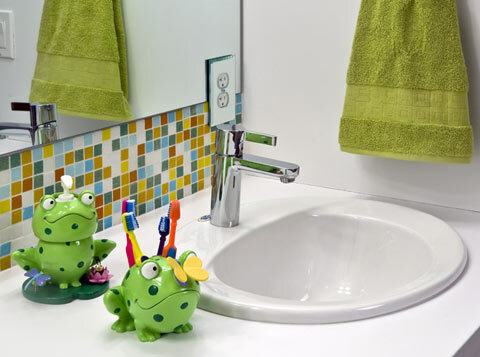 Be sure not to store hazardous chemicals such as cleaning fluids and cleaning ceramic bathroom floor in the children. It is dangerous if the fluid is swallowed by a child. For electrical installation, make sure electrical outlets are in hidden position and far away from water sources. To increase security advised not to use water heaters.